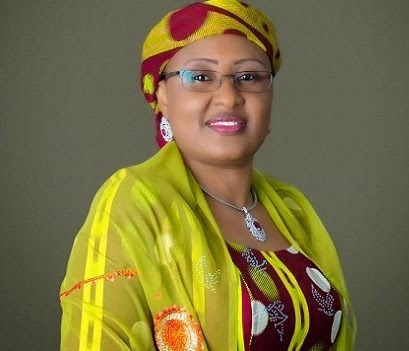 Hajia Aisha Buhari is the wife of the President-elect of Nigeria, Gen. Muhammadu Buhari, a mother and a business woman with qualifications and trainings in beauty and cosmetology. She also has an NCE Teacher's certificate, as well as a BA in Public Admin and a Masters in International Relations and Strategic Studies. In this interiew, she talks about her background and marriage to the former head of state. She says she has not interest in the office of the first lady and would prefer to be a wife and champion other women with ideas to improve the lives of Nigerians. Watch her below..